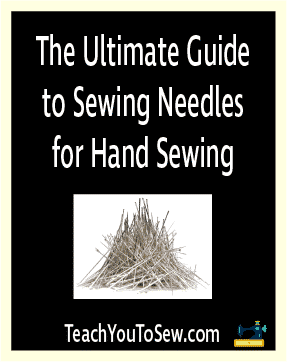 One of the very basic items for constructing a garment or completing a sewing project is the needle. 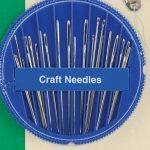 Sewing needles come in various types, sizes and lengths to properly suit the purpose of the particular project. The tips vary from blunt to sharp and the shafts, the area below the eye vary in thickness. Knitting and crochet needles are vastly different from hand sewing needles. Embroidery, quilting, crafting and regular hand sewing needles however, have the same basic appearance, varying in only the size, length, width of eye, thickness and point sharpness. 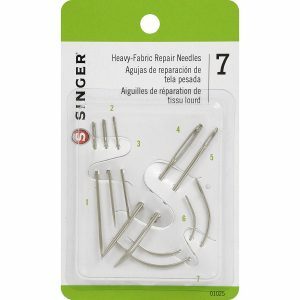 The following needles I will be discussing represent the best brands and types you can purchase for your different hand sewing projects if you don’t want to use a sewing machine. The 25 needles which come in this set are visibly of different sizes. Looking at the round disk shaped plastic case reveals at least 10 different types of needles. The thickness, eye size and lengths are the obvious differences, which also shows that different thread thicknesses are required for use with each type. 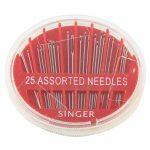 The next brand of needles is the popular SINGER and its offering is comparable to the previous brand. Comes in the same standard disc shaped case, the lid of which you can turn until the opening in it dispenses a needle of your choice. This too is a 25 piece needle set and includes darning needles as well as needles known as sharps. This 7 pack of needles contains pieces which are obviously thicker than the norm. The eyes are quite large and the bodies long, to accommodate the larger and stronger threads which would be required for heavy duty home projects. Two of the needles in the set are curved needles while the remaining 5 are straight. These thicker needles serve well for use on canvas, tents, carpets, upholstery, leather, mattresses, coats and fur. 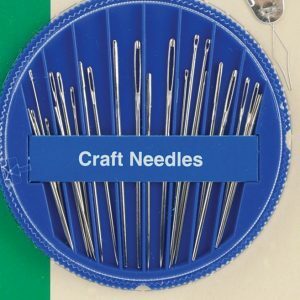 If you are looking for a set of needles to cover the whole gamut of hand sewing projects then this next set is the all-inclusive you might be looking for. Each pack holds 30 different types of hand sewing needles and the entire set is distributed among three different packs. This means that you purchase this set, you will have 90 needles at your disposal. They come in the standard disc shaped casing and the assortment in each package ensures that you have all the needles you require for home use. 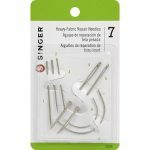 From simple hemming to mending heavier pieces, this set covers all the bases in terms of what you might need for hand sewing, except the curved needle. If you’re into knitting and crochet, this final needle type is an essential to have. 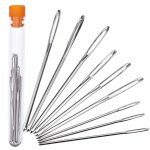 These needles have a very large eye and thick shaft to accommodate the thick threads of crochet, yarn or other kinds of material used for weaving. They can also be used to create decorative stitches for cross stitching and needle point projects. The ends are blunt because they are basically used also as finishing needles to seal off the ends of projects like a crochet or knitted piece, or the ends of a weaving project. They serve to secure the previously formed stitches in place. They come in three lengths: 3 cm, 5.2 cm, 6 cm long, with needle eye sizes proportional to each length. 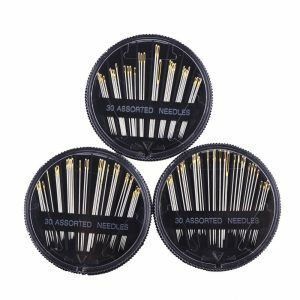 There are 9 needles in this set, offering 3 of each needle size. They are encased in a really neat and convenient plastic tube (which reminds me of a tiny test tube) container for storage.